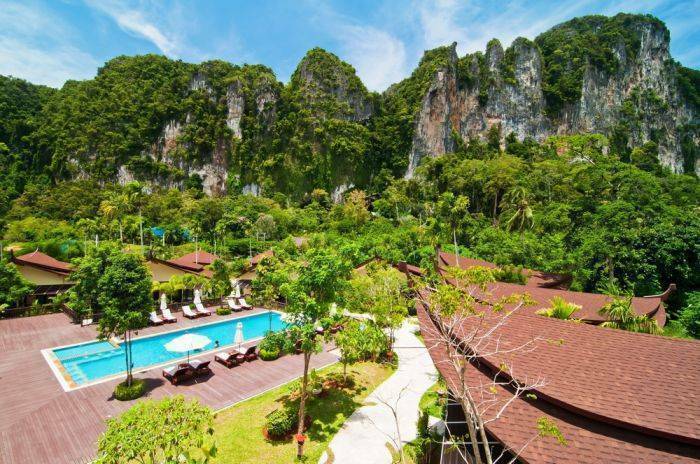 Among the others, Aonang Phu Petra Resort is 4 star where is to be discovered lying just ahead of panoramic mountain view on Aonang Beach in Krabi. 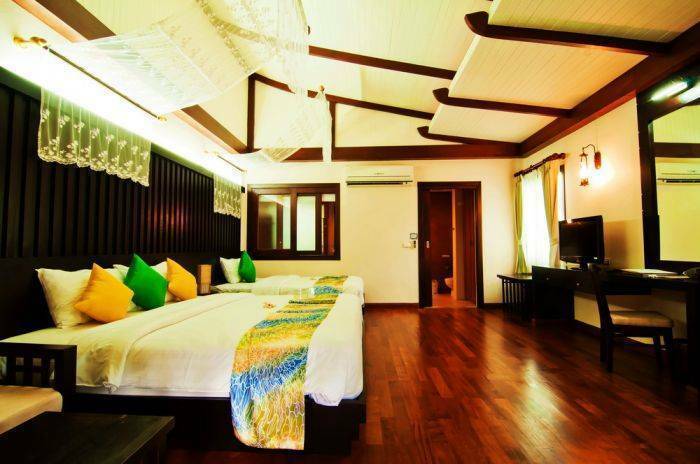 Meticulous and delicate in decoration of Thai contemporary style blending with southern scent of all spacious 25 villas equipped with thoughtful amenities on 5. 50 Rais, opened in December 2009, are discovered situating among every counted natural detail, right beside foothill that panoramic glorious mountain dominantly lay down ahead of them. Swimming pool with Jacuzzi is, in addition, designed as if our guests step on crystal clear water, set in the centre of them all. 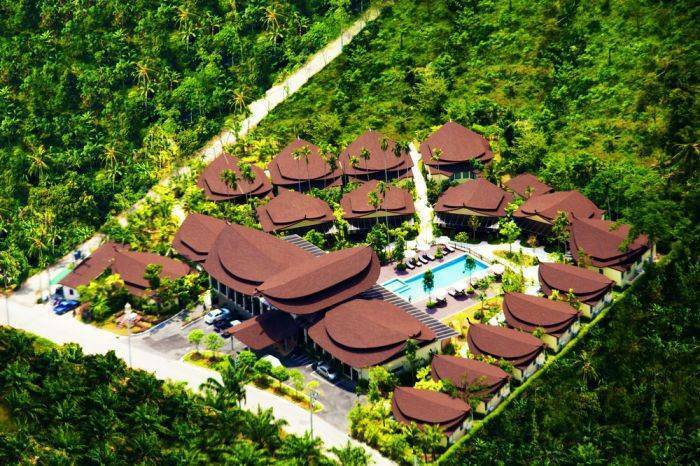 Gloriyo Hillside Villas or Deluxe rooms facing to the artistic glorious hill-view. 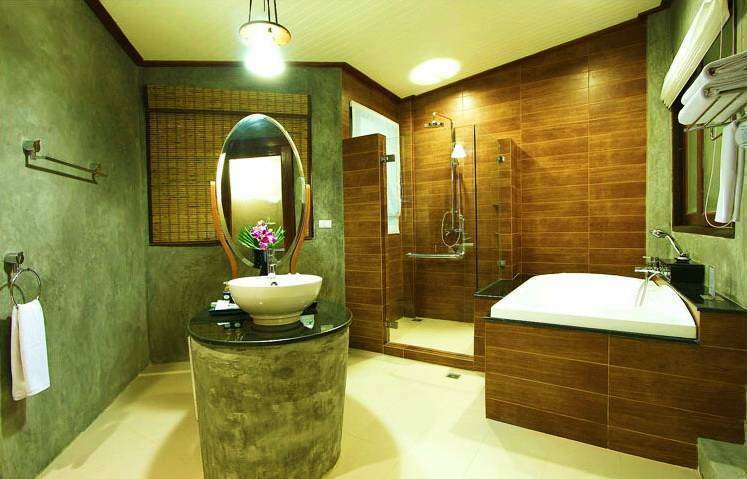 With its 57 square meters (Room 44 SQ. M, Balcony 13 SQ. 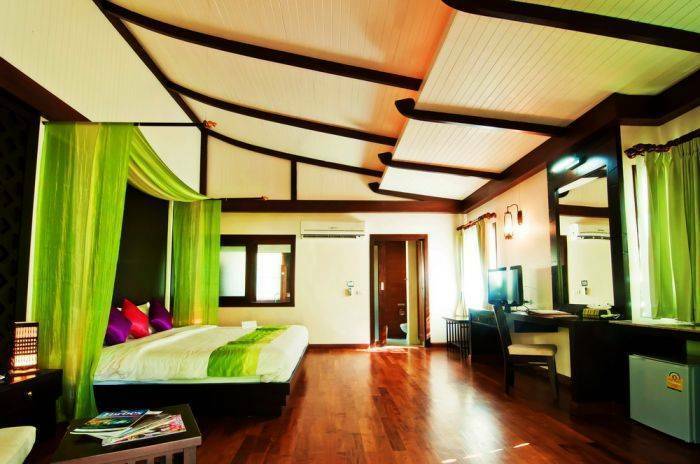 M) given every counted detail in fine and careful decorated in-room make your day filled at a maximum rejuvenation. If notification of cancellation is received less than 21 days prior to arrival date = 50% for the entire value of room night reserved will be charged. If less than 7 days prior to arrival = 100% shall be charged. If notification of cancellation is received less than 30 days prior to arrival date = 100% for the entire value of room night reserved will be charged. If notification of cancellation is received less than 7 days prior to arrival date = 50% for the entire value of room night reserved will be charged. In the event of no-show, the resort reserves the right to charge full amount. 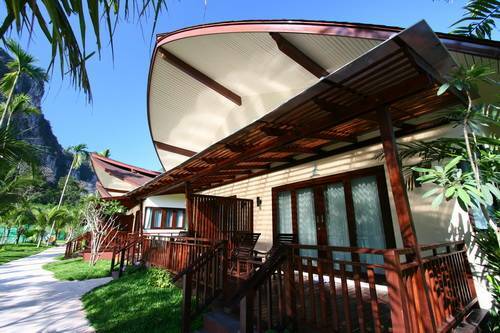 The resort requires full prepayment for all bookings at least 7 days prior to arrival. Getting To Aonang Phu Petra Resort by car from Krabi airport is on Highway, go across Baan Taladkao turn Left at Plalang Intersection. Please turn Right at the Khlong Gi-Lard intersection; at this intersection you will see the Shell Petrol Station is on your right. This is the way to Noppharat Thara Beach and Ao-Nang. Go along this road, passing the Chang See Resort, on your left and Wat Sai Thai on your right. Go straight on and you have to be careful because you must turn Left into Ban Chong Pli. Then, go along the road for while. You will see Nopparattara Beach, please go along this road and The resort is at Aonang Soi 11.